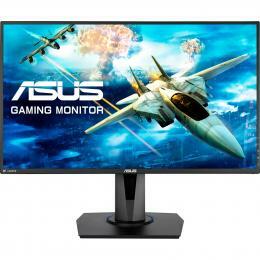 Today we’re taking a quick look at the fastest Gaming Monitors from Asus, LG, Philips, Samsung, Titan Army and Acer! A quick note for those who are new to ultra-fast displays and why we want them; the HZ rate is basically a number of times your monitor can update/redraw the image on the screen - with 144Hz being able to do this up to 144 times per second! 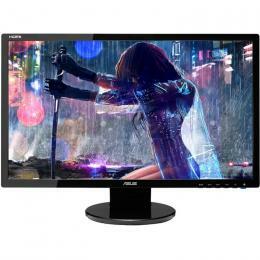 With these higher frame rates, all those missing images on the screen come together in a beautiful smooth motion that makes it much easier to target opponents - of course, our PC will need to be able to push out that many frames but that’s another topic covered in How to Choose the BEST Gaming Monitor for your Gaming PC - so back to the subject at hand! We feel the need, the need for SPEED! NEW ENTRY! 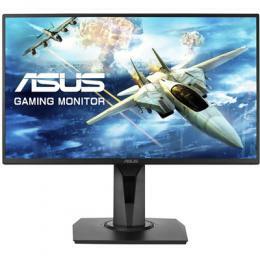 Blazing in as the fastest gaming monitor with a 240Hz panel, this brand new Asus XG258Q Gaming Monitor is a sight to behold! 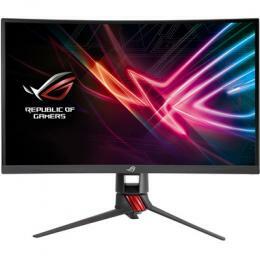 This new ROG Strix is all about speed - making it the perfect monitor for high action gaming, or pretty much anything eSports related if you want every advantage possible. 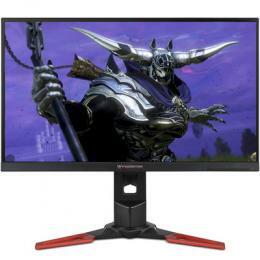 This 1920x1080 resolution gaming monitor is the fastest ever, with a 240Hz native refresh rate, 1ms response time and extremely low motion blur technology for silky-smooth gameplay and ultra-realistic visuals. Additionally, ROG Strix XG258Q has distinctive Strix-exclusive design elements and ASUS Aura RGB lighting that adds ambience to any gaming setup or LAN party. 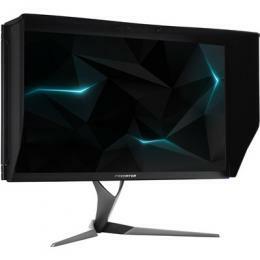 It's also packing G-Sync, making it the top choice for those running a Gaming PC using Nvidia graphics, and frankly, you're going to need an incredibly powerful rig to push out all the frames that this amazing monitor can give you. 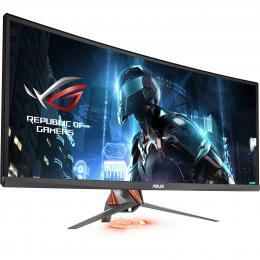 The incredibly fast 27" Asus PG279Q is very fast indeed clocking at 165Hz, and this even more impressive with the higher resolution at 2560x1440! 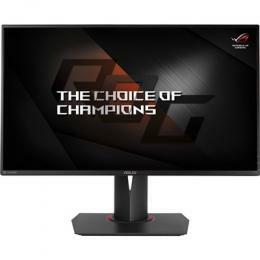 It has featured as the exclusive monitor in the eSports events such as ESL ONE Cologne and the DOTA 2 International with performance viable for these highest-end competitions, it's a monitor designed to give you the winning edge. Packing G-Sync inside yet again, this monitor is designed to be paired with Gaming PC that use Nvidia graphics cards within. NEW ENTRY! 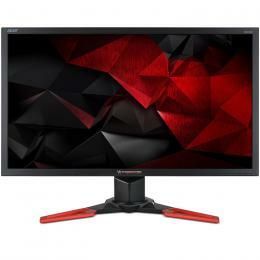 The 27" Acer Predator X27 bmiphzx Gaming Monitor can give you incredible speeds at 4K! 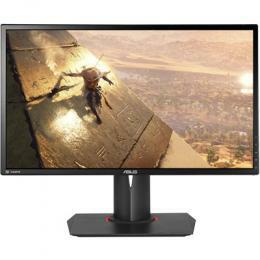 Interesting, Acer promotes this one as 120Hz but in the specs, it's listed as 144Hz. This could be due to some compression that occurs when trying to push all that information through the cable from your GPU to your monitor, or a simple typo - we'll seek clarification and update. Yet again this is designed specifically for those with Nvidia graphics cards in their Gaming PC, and this can be used to dynamically match the refresh rate of the display to the frame rate output of the GPU, which is great to have when you're operating at this ultra-high resolution. If you're looking for an absolutely insane display to go with your insanely powerful Gaming PC this is the one! 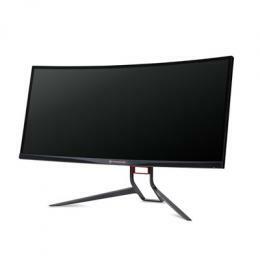 The 34"144Hz LG 34UC79G Wide Screen Gaming Monitor combines smooth action with the curved screen, and we just love the optimised and immersive gaming experience. A monitor’s response time is absolutely critical in games, and the 1ms Motion Blur Reduction feature gives gamers the precision and accuracy needed to play at a very high level. With a response time that is virtually 1ms, blurring and ghosting are reduced to make the action smoother and gamer reactions more precise. With the Crosshair feature, gamers can take their skills to the next level. By placing the striking point in the centre of the display, the feature enhances firing accuracy in first-person shooter games. NEW ENTRY! 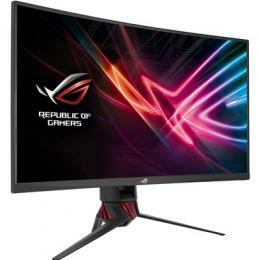 The new 27" 144Hz Rog Swift XG27VQ Curved Gaming Monitor is the latest 1920x1080 Freesync Monitor with a beautiful 144Hz refresh rate. 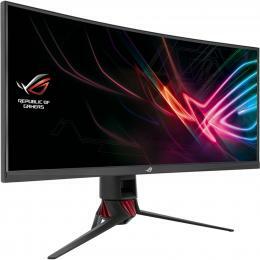 It features ASUS-exclusive Extreme Low Motion Blur and Adaptive-Sync (FreeSync) technologies intended for use with Gaming PC featuring AMD Graphics Cards inside - giving us a reduction in tearing/stuttering while gaming. Its game-inspiring design integrates onboard ASUS Aura RGB lighting to add ambience to any gaming setup. NEW ENTRY! 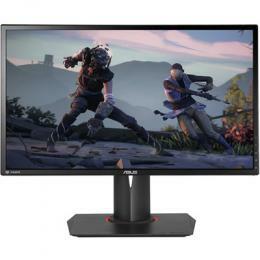 This next one fit right in with the giants above, and with a 2560x1440 resolution the 32" 144Hz LG 32GK850G is an excellent gaming monitor, with controls right on the front to give you access to special gaming presets on the fly. 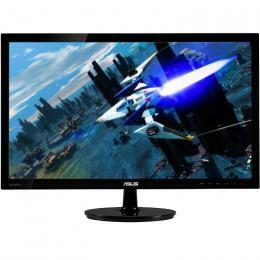 It is overclockable to 165HZ, even while maintaining the 2560x1440 resolution and features an anti-glare panel with Nvidia G-Sync which reduces the tearing and stuttering that occur between a Nvidia Graphics Cards frame rate and a monitor's refresh rate. NEW ENTRY! 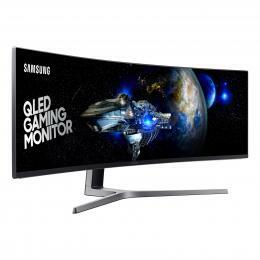 And this one is a MASSIVE, the 49" 144Hz Samsung LC49HG90DMEXXY QLED Gaming Monitor is perfect for those who want to create the traditional multi-monitor setup (often seen in high-end racing or flight simulators) but with the latest tech from 2019! With this juggernaut, you'll have no gaps separating the screens, it's just one gigantic monitor panel spanning your vision. The super ultra-wide 49-inch screen with its innovative 32:9 aspect ratio means you get to see game scenes in their entirety, exactly as their developers intended. And the 1800R curved panel immerses you in gameplay and delivers iMax-style cinematic viewing for movies and video content, you'll find yourself turning your head just to see it all! This one also sports a colour gamut of 125% which is crazy impressive, a multitude of gaming specific settings, AMD Freesync and did we mention the RGB lighting... we did... well, good. The 35" Asus Rog Strix XG35VQ blazes in with a sleek curved display that ensures every point is equidistant to your eyes. Boasting a 4ms response time, with a beautiful 3440x1440 resolution display make for a flawless 21:9 aspect ratio. Exclusive Asus Aura Sync lighting technology provides ambient lighting that can be synchronised with other Aura-enabled components and peripherals. Extreme low motion blur technology makes gaming more fluid and responsive. There is also the Asus-exclusive GamePlus hotkey with in-game enhancements. NEW! 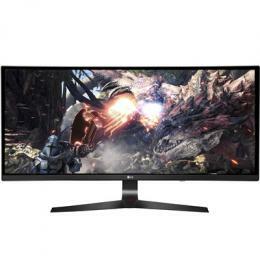 The massive Titan Army C34SW 100Hz Curved Gaming Monitor is a well priced, impressive widescreen for any gaming setup. With a resolution at 3440X1440, narrow bezel and beautiful white/silver frame, it's certainly one of the best-looking gaming monitors around if you're after one without the usual bling commonly found on "gamer" themed products. 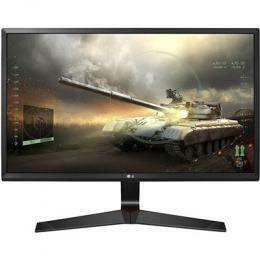 The 27" LG 27MP59G-P is definitely intended for gamers much like more expensive models above but in a clean black frame without the added flare. 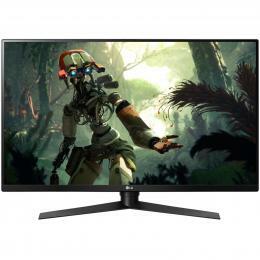 You might think this 75Hz monitor is a little odd in a list like this but if your running and RX570 + Ryzen 3 or similar combo within your system you'll likely find this monitor in perfect, better still if you're on the AMD graphics card team you'll be happy to see this one also features super smooth visuals thanks to FreeSync. 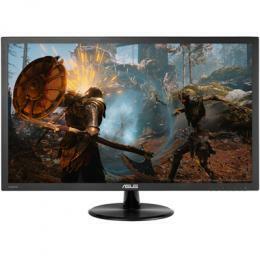 Complete with features like dynamic action sync and black stable mode this monitor is great for marathon gaming sessions. WOAH! Ten amazing monitors already! These are just a slice from our massive Monitor range here at PB Tech New Zealand, check out the full range in-store or online today!